A diabetes app has been developed by Wellthy Therapeutics’ which is a 16-week Digital Diabetes Management intervention which doctors can prescribe to their patients.This will enable doctors to personalise care for Type-2 Diabetes’ so that patient can introduce clinical and lifestyle changes between doctor visits using the Wellthy Diabetes app.It will be India’s First Clinically Tested Diabetes ‘Digital Pill’ for Physicians for benefit of their patients. The diabetes app by Wellthy Therapeutics will be launched at a conference held by the Maharashtra chapter of the Research Society for the Study of Diabetes in India (RSSDI) on 16th February, 2018. The 16-week diabetes intervention programme delivered through the mobile app will now be available for doctors in Mumbai to prescribe to their patients. The digital therapeutic app, developed by Wellthy Therapeutics in scientific collaboration with RSSDI, uses patient-centric design augmented by artificial intelligence to provide integrated care that complements the doctor consultation. Results from several clinical pilot studies, published in leading scientific journals, have shown that patients with Type II diabetes who complete the programme, reduce their HbA1C by more than 1% on average, lose significant weight, reduce blood sugar levels and improve their medication and diagnostic adherence. Clinical results on the use of the Wellthy Diabetes Digital Therapeutic app have been previously presented at conferences of the American Diabetes Association (ADA), the International Diabetes Federation (IDF) and the International Diabetes Federation (AACE). Additional pilot results on how the app supports clinical and lifestyle management will be presented at the 11th International Conference on Advanced Technologies & Treatments for Diabetes (ATTD 2018) in Vienna, Austria. At the same conference, clinicians will also present data on the app being a valuable intervention tool for health insurers to offer their policyholders. Dr Shaikh will be presenting on ‘Enabling doctors to personalise care for Type-2 Diabetes’ with clinical and lifestyle patient journey data using the Wellthy Diabetes app’ at the conference on the 16th of February. This will be followed by an interesting first-of-its-kind session on ‘Results and implications of a health insurer adopting an RSSDI-endorsed digital diabetes intervention’. The conference also marks the launch of the Wellthy Magazine, the print version of the fastest growing diabetes community in India – the Wellthy destination. The Wellthy Diabetes programme is a clinically verified and structured 16-week program that enables persons with Type II diabetes to better manage their diabetes in between doctor appointments. It gives patients the tools to understand and monitor their food intake, take their medications on time and track their blood sugar levels. Through the digital therapeutic app, users are assigned a dedicated Diabetes Expert, who users can chat with about all their diabetes-related questions and concerns. Every week’s completion marks the achievement of a skill learned to better self-manage diabetes. 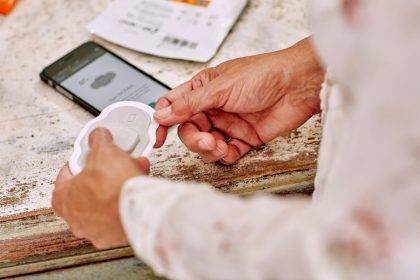 In addition, the clinically validated artificial intelligence offers real-time guidance and feedback to assist them with effective diabetes management. Wellthy\’s digital pill , patient friendly, may help in managing patients where compliance issues in management of Diabetes . Innovative! Prof M E Yeolekar , Mumbai.